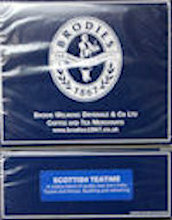 Brodies produce a range of traditional Scottish tea blends, using the finest of teas from around the World. Brodies produce a range of specialist tea blends, using the finest of teas from around the World. © 2014 - 2019 J. L. Gill Ltd.